In this series of posts, we’ll create the Infrastructure over AWS using Ansible. For the first part of this series, we’ll create the VPC, the basic building block, because everything like Security Group, EC2 instance, RDS Instance, ELB etc will create inside the VPC. 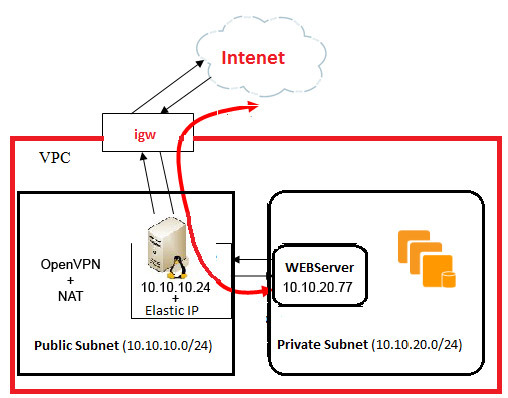 In this tutorial, we’ll use this blog post as a base and use the below scenario in which we’ll configure the custom NAT instance to OpenVPN as well using Ansible to access the resources inside the private subnet(s).